The Betaship is an underwater base for all of your creatures to roam. 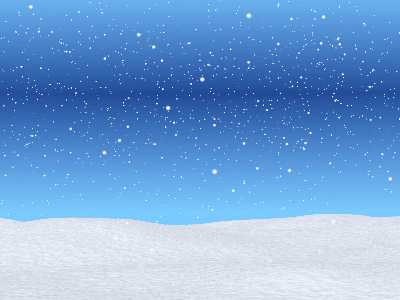 There is a seasonal and a day/night cycle in place, and the light and heat emitters will adjust accordingly, as does the favourite place icon. The images being used are mostly placeholders, everyone is encouraged to make prettier images and maybe spiffier code too. Check out the CCSF post with this metaroom here! 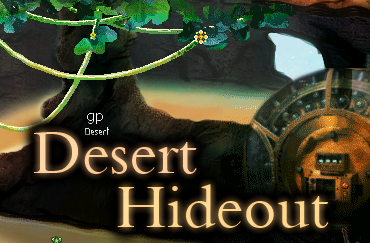 This is the Desert Hideout, one of the linked metarooms in the Banshee Ark. It's a warm and cosy place where your creatures can hang out. 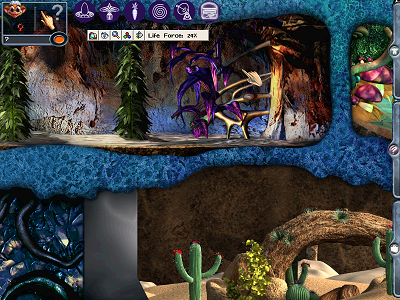 This room features custom plants and animals. If you inject the Grendel Meso together with this metaroom, there will appear a door to this metaroom inside the Grendel Meso. If you inject this standalone, there will be a teleporter which can bring your creatures to the Desert Hideout. This is just one part of the Banshee Ark. There are 3 more metarooms to be discovered. 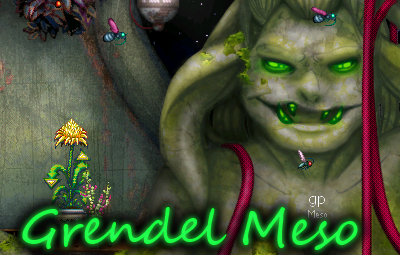 This is the Grendel Meso, the main linking metaroom of the Banshee Ark. It features custom plants, animals and even a genetic Grendel breed: the Dart Grendels. The door to the Grendel Meso is positioned in the Capillata, which has been extended for this purpose. The lower part of the capillata can now be flooded or used for storage or living space. This extension is not compatible with the Blobby Core so you'll want to make sure you don't have the Blobby Core installed in your world. The Meso comes with the Dustdevil grendel agent pre-installed. This breed clashes with the Tiger Grendels and takes up Grendel slot X. 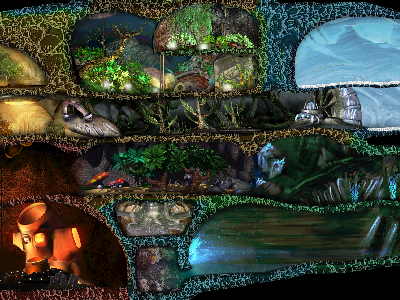 This is just one part of the Banshee Ark, there are 3 more areas to be discovered. Update 1.01: Added some missing files due to pre-release injection of COBs. I didn't realize that I had to include the files manually, as .COBs can have files "hidden" inside of them that are only added after injection. Update 1.02: Fixed a wallbonking glitch where Norns would wallbonk into nothing halfway through the world. Now your Norns can travel Nerinath freely, wallbonking prohibited! Update 2.00: MAJOR UPDATE. Verm has updated Nerinath to be less buggy/crashy. This was the main problem with Nerinath, so it's basically now perfect. Thank you Verm! NOTE: I am not removing the original Nerinath. The reason for this is simple: Nerinath 1.0 has 3 rooms, while Nerinath 2.0 has 19. You have the option to choose. However, it is fairly clear that this version is much more stable. Welcome to the Albian Arctic. Away from the cluttered equator of Albia lies an arctic wasteland tucked away at the southern side of the world: Nerinath. Tired of the constant hazards and pitfalls associated with the main world (The land that the Shee inhabited), this hand has decided to take their Norns out into the cold, dead wastes, where safety and utility go hand-in-hand. Nerinath is for a hand that has already seen the mysteries of the shee, traveled to the swamps of the Ettins, the great Tree of Yggdrasil, and the volcano of the Grendels. When the grandiose world of Albia becomes a chore to navigate, with constant elevators, oceans, and Norn traps, Nerinath awaits. This land is empty, waiting to be filled by the hand. (The game's COB injector will serve you well, as this is a world that may be customized to your liking). Nerinath only comes with the essentials: Food, Water, and Toys. Norns rejoice, as wall-bonking is a thing of the past! Rejoice, as the great danger of the ocean poses no threat to Norns here! 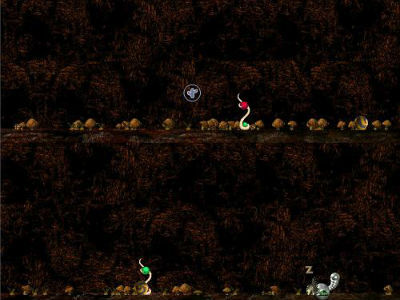 Nerinath is a simplistic Creatures 2 world that takes away all of the hassle of playing the game in a non-explorative fashion. 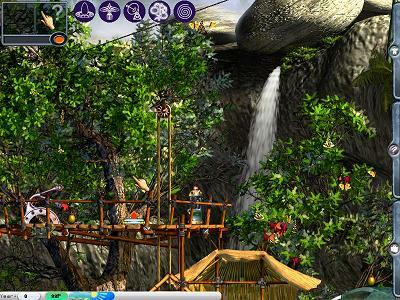 What I mean by that is that Creatures 2 is largely an exploration game, where a large part of the game is exploring the world and collecting power ups and items. Wolfling Runs and such typically avoid such gameplay, and focus on the important part: the Norns. At risk of creating a desolate and dull world, I've created an empty flat-plane world for other users to use. 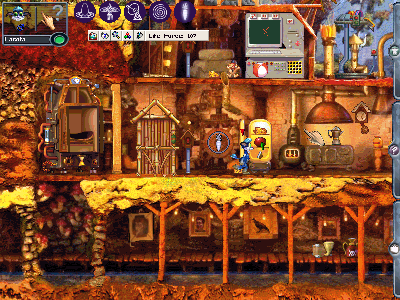 It comes complete with a hatchery, a highly advanced learning computer (Better than the base game), food sources, and water sources, but not much else. Despite the cold appearance, Nerinath is well-suited for Norns (We can assume their fur and hardy nature comes in handy here). The world is completely flat, and single leveled. This means that there is no risk of environmental danger or wall-bonking, which in turn makes Wolfling Runs far more objective than they were previously. If you wish to compare it to scientific philosophy, there are far less variables to deal with. I made it with Wolfling Runs in mind, but it is also useful as a place where those who want to play the game with generations of Norns legitemately can play without having to worry about crazy environmental hazards like drowning, being murdered by grendels, et cetera. I am by no means a Creatures 2 content creator. I made this world with the help of two CreaturesCaves users, Geat_Masta (The lead designer of a fan-based game called Kreatures) and GimmeCat (The best Creatures 2 COB creator), in addition to following a nearly unreadable German walkthrough. It's more of... they did it, really. I just put all of their instructions together (Similar with the Ivrogne Canny Norns that I also “designed”, with that word in quotes for good reason as Venithil made it off of my instructions). Nerinath is empty because it is intended to be that way. 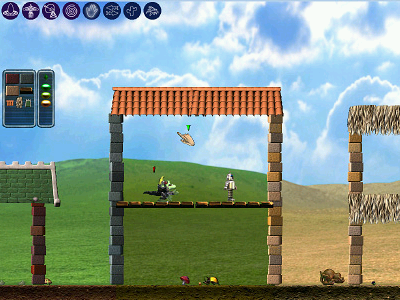 A player's customization of the world lies entirely in the COBs that they choose to inject into the world (Note that not all COBs are compatable with an empty world; typically, the best COBs to use are the ones that add items that can be moved by the hand and thusly placed in particular locations. COBs like the “All-Seeing Eye” will not look very good in Nerinath, while “Meat Vine” will look fine). Copy and paste the “Nath.SFC” file into your Documents > Creatures > Creatures 2 folder. Copy every other file into your game's directory (A.k.a. The file folder that you access when you right click + “Open file location” on the game's shortcut). Be sure to allow the folders to merge with your game's folders. Do not worry; this will not mess up your old worlds. Copy another Nath.SFC from the Nerinath installation and change the name when you put it into your Documents > Creatures 2 Folder. It will be a fresh, blank Nerinath world. Don't overwrite the old one! You can find the news post for this world here. Any updates to the world will be posted about here. 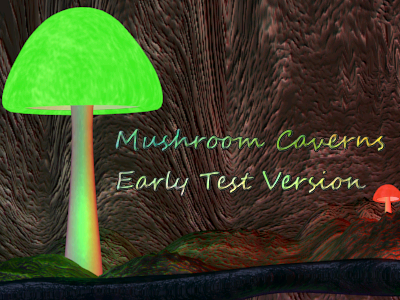 This is the early test release of the Mushroom Caverns terrarium, there are no lifts or agents included, and the current favourite place icon is a placeholder. However CAs, links and custom music are present. 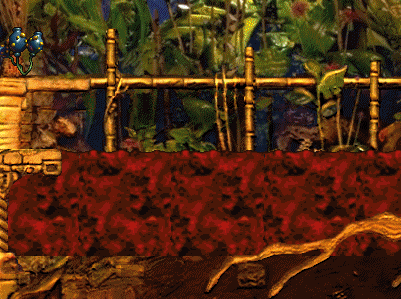 So, for the time being, this metaroom could be used as a tabula rasa of sorts with the Garden Box and Elevines. 1) Open the zip and extract the "Mushroom Caverns Test.agents" file to your "My Agents" folder, located in your Docking station installation. 2) Extract the "DoriMushCave.mng" file to your "Sounds" folder, located in the same place. 3) Inject the agent ingame and enjoy! This metaroom uses custom music. 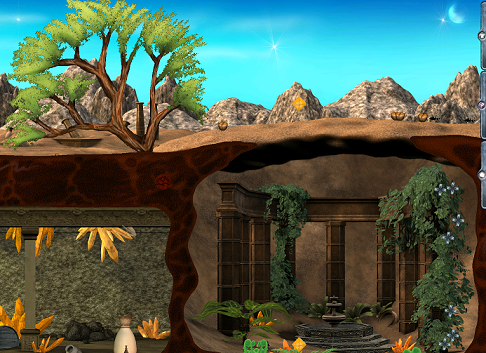 It features a volcano, desert, jungle, ice cave and greenhouse. Even though this is an alpha release there shouldn't be any bugs, so if you get one please contact me on here. If you upgrade from an earlier version, you may have to remove the earlier ols_help.catalogue files prior to injecting. 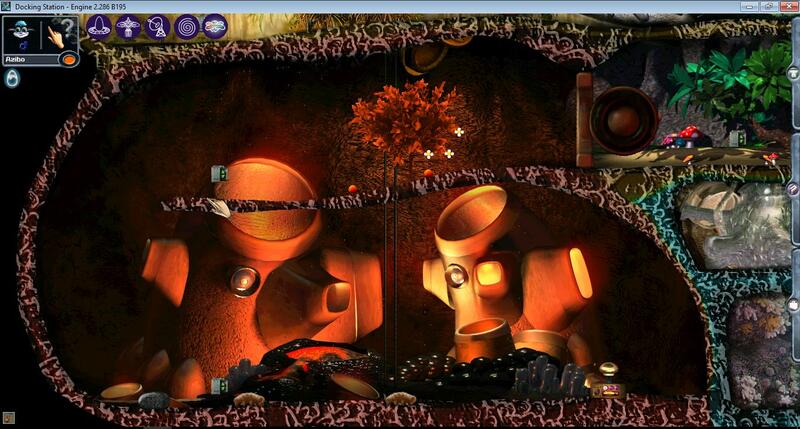 This metaroom does not work in C3 standalone. This is the first metaroom I've ever developed, so if you have any comments/suggestions/critique, please shoot! A minor extension for the Spriglysium Nebula rooms. 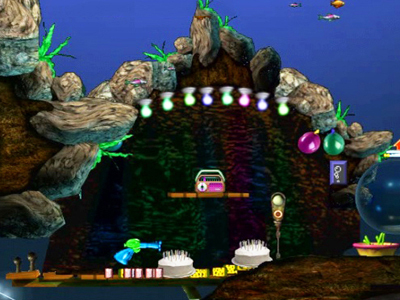 It adds lights, cake, a radio, and some other accessories to the Atlantis/deep ocean area provided by the first pack. Atlantis redecorated ready for a party! Music System: Playing some music to dance to - heck, play it for long enough and you'll see your Norns dance. Hooch: Some drink which'll get your Norns drunk, maybe even dancing! Cake: Celebrate in style and enjoy the food! Air switch: Pump air into the ocean to allow air breathing Norns into Atlantis rather than water breathing Norns. And switch it back if you change your mind! 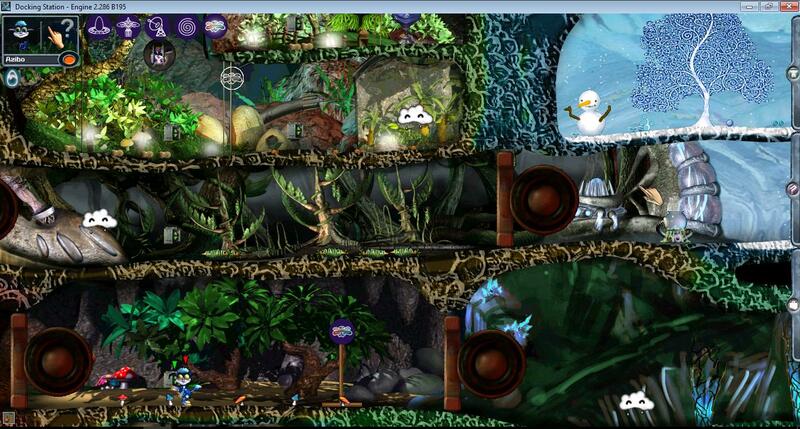 Like the original, 'Ocean Expansion Pack' can be used with this, but the rooms will overlap. Note: in the .ZIP there is an empty folder called 'sound'. I don't know why it's empty but I haven't noticed any issues with it so far. Thanks to Mea for help in recovering the file. 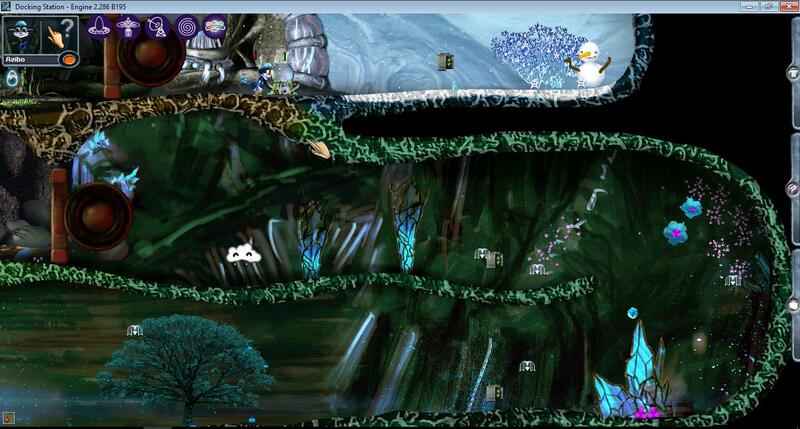 Adds several rooms to Albia including a large cloud strip in the skies and an underwater room in the deep ocean. 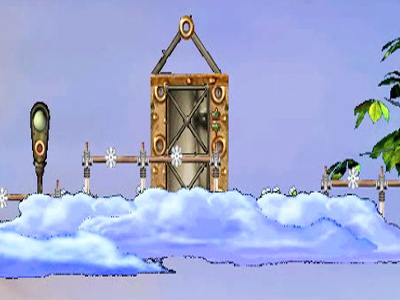 Cloud 9 : This is the garden in the skies! Ideal for growing fresh fruit and veg for your Norns! Atlantis : The underwater room! Ideal for water-surviving Norns! Treehouse : The bulk of the pack. Extends from the tree of life to the temple! Temple Platform : Now your Norns can visit the bell! Happy Juice Vendor : Keep your Norns happy by giving 'em a drink of the good stuff! Building Blocks : Let your Norns play! Beelcanth : A plant that existed in Albia before the volcanic erruption. Grows on Cloud 9. Arkle Berries : Grow on the treehouse. Give the plant a push to release a berry which can then be plucked from the bush! You can inject both this and 'Ocean Expansion Pack' at the same time, but the rooms will overlap. 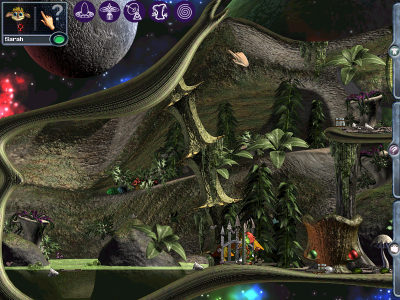 Dragon Nornior (also known as Project Erdrick) is an alternative world for Creatures 2. It is designed around the Dragon Warrior/Dragon Quest roleplaying game, and perhaps inspired by the fabled Secret Adventure Mode. 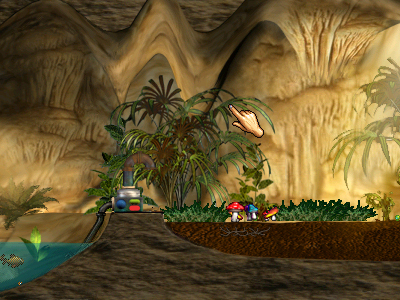 It was created by Jcarrcwalk, with assistance from JayD and Brad Fermanich, and released on 1 April 1999. Little World is a stripped down version of Albia. Some things, such as the radioactivity, Grendel and Ettins and more were removed. This world is very stable. It is especially recommended for slow computers. In the ruins of an old civilization, strange objects hide and crystals grow. Outside, the heat and dry makes life difficult, but life still finds a way. Inspired in part by the flora and fauna of the Atacama desert, Desert Ruins features a day/night cycle and a few seasonal surprises. Graphics by Mea and Allekha, coding by Allekha. Released during the CCSF 2015. A simple metaroom designed for Geats. Comes with its own special flora, which are designed to grow in the absence of CAs. This metaroom is currently in beta. Grendel Man says: "Artemia Sea is a large saltwater metaroom based upon the tank from the Amazing Virtual Sea Monkeys inspired by similar efforts by Nornenmeister and Clohse. Despite its base it's not much of a Sea Monkeys room at all; it's more of a place for swimming creatures to call home and hopefully has everything they need to live happy lives. 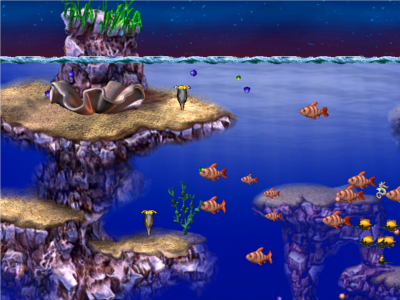 Much of the flora and fauna within comes from Creatures 1, Creatures 2, or the Amazing Virtual Sea Monkeys, though there's also a few unique organisms swimming around in there...."
Submitted by Grendel Man and Mea for CCSF 2014. A complete work over for the bottom-most layer of Albia. One large room stretches from the ocean tunnel, through the shower, under the house and garden to a cave on the right of the temple. It uses a compilation of the following COBs: Ocean Tunnel Opener, Passageway 2, Temple Cave, Temple Water Platform and Underground Raft Remover.